The Folkloric and Artistic Troupe of Dhalaristan 2010 www.dhalaristan.com. 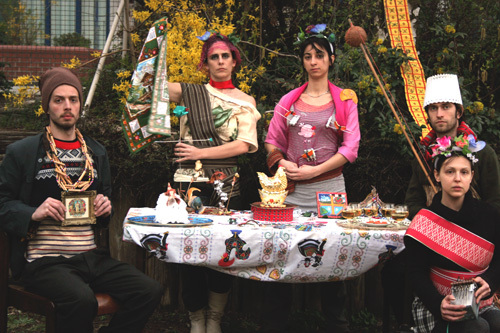 In 2010 the FATD toured the Balkans, leaving from Berlin on May 1st headed towards Istanbul on a 2 month journey to find other Dhalaris, and to reconnect the history of their culture. Leading Dhalari & FATD director Meyrick Kaminski/Moss Beynon Juckes/Syrie Payne/Sina Nikolaus/Brina Stinehelfer/Nikolaus Schneider/Justin Beard/Francesca Romana Ciardi/Cavanna Hazelton/Fenia Kotsopoulou/Margarita Tsomou/Julia Hayes/Mad Kate and many others…..